Aaron just had the honor and privilege of completing the 2013 ASCAP Foundation Broadway Conductors Program, which was made possible by an unrestricted bequest from Marvin Hamlisch to The ASCAP Foundation. To celebrate his memory, the program was launched in his honor. 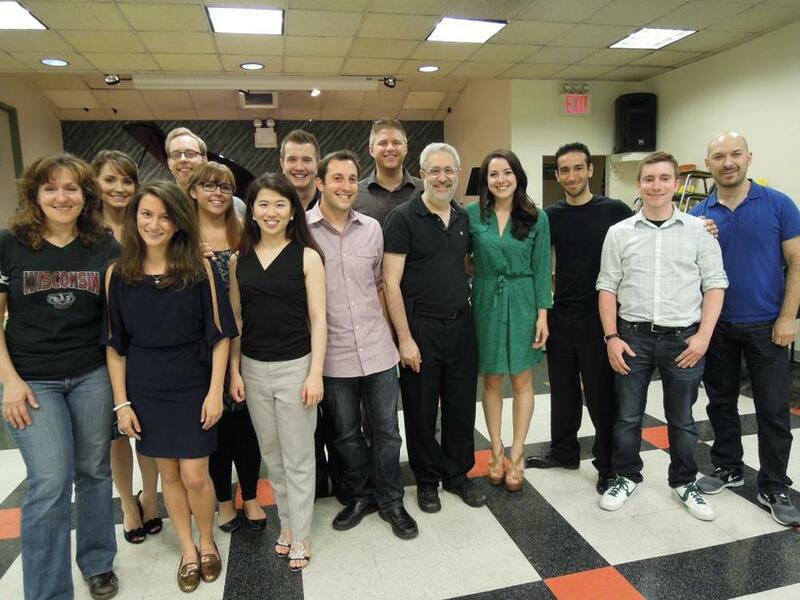 The 2013 program was a 4-day intensive workshop in which 10 aspiring musical theater conductors were given hands-on experience with current Broadway professionals. The program, under the direction of David Evans, Associate Conductor of Broadway’s Wicked, with mentors Mat Eisenstein (Newsies) and Cherie Rosen (The Lion King), included Master Classes with Broadway conductors, musicians, performers and contractors, as well as a visit to an orchestra pit during a live performance. The program culminated with each participant conducting a 16-piece orchestra with Broadway vocalists Tiffany Haas, Vicki Noon and Ivan Rutherford. Marvin Hamlisch, a composer-arranger-conductor-pianist, died in 2012 at the age of 68. He was one of the rare individuals to have received Oscar, Tony, Emmy and Grammy Awards, as well as the Pulitzer Prize. His musical achievements encompassed musical theatre, film and television, pop and symphonic music. In 2006, Hamlisch was honored with The ASCAP Foundation Richard Rodgers Award for his lifetime of achievement in musical theatre. Posted on June 8, 2013 by Aaron Kenny.